Delicate Print Nails for the #31DC2017Weekly - Polish Etc. I am loving my mani for this week's challenge prompt! Usually, I end up picking some delicate floral design to stamp on my nails for this theme. Which I originally did but hated the way the manicure photographed and decided to redo it. I am glad I chose an edgier delicate print the second time around! 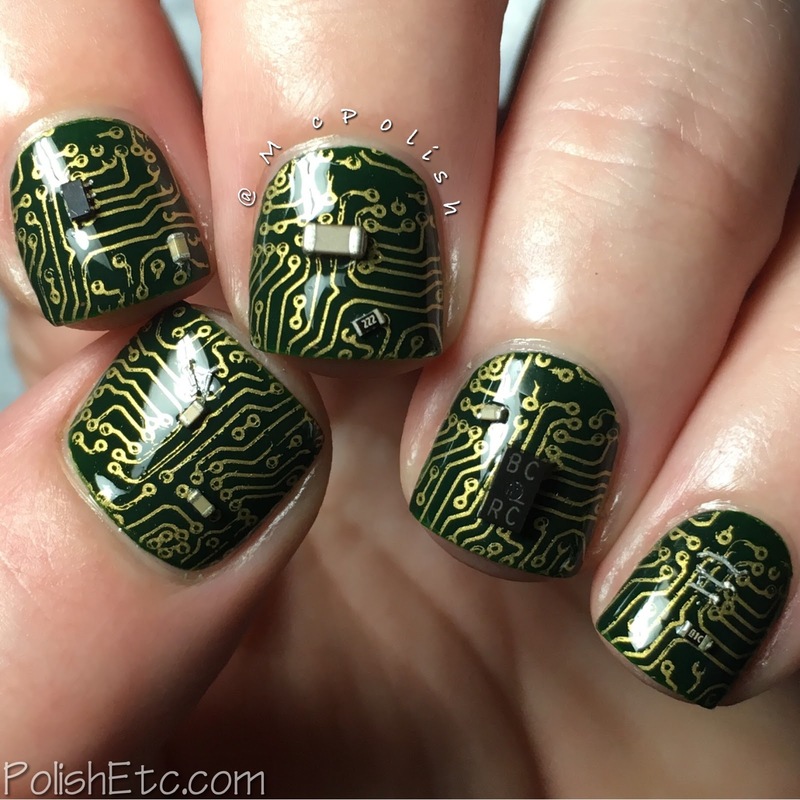 My mani is inspired by motherboards. They are neat little items. They are very structured and precise but all of the teeny tiny parts welded together in an intricate detailed pattern make it quite delicate. Do you agree? For this manicure, I started off with a base of Cirque Colors "McKittrick" which a dark green creme. 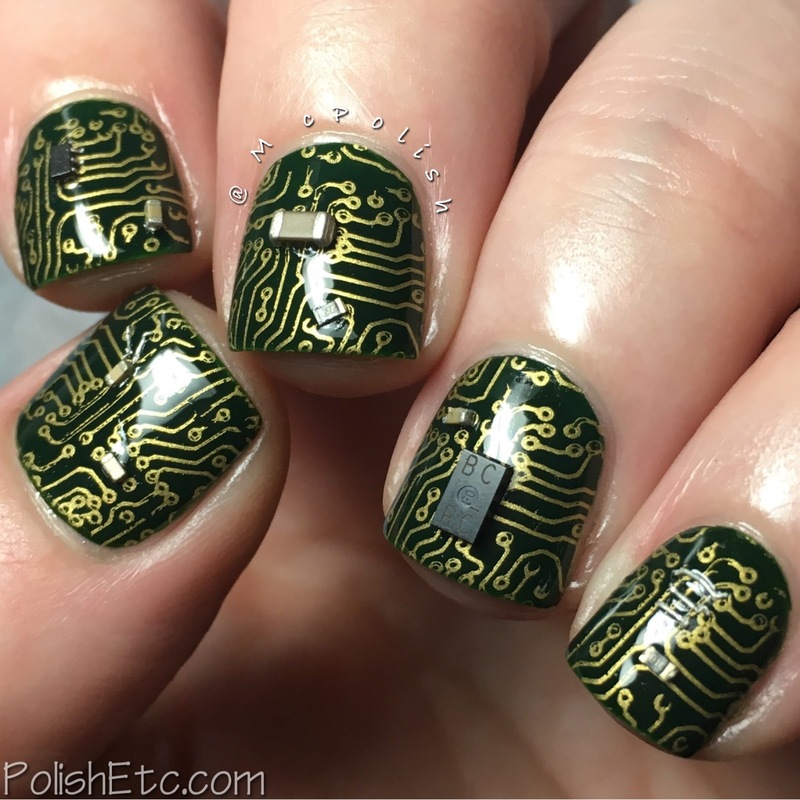 Then, I used the MoYou London SciFi 06 plate to stamp on the circuit pattern. I just couldn't leave it like that. I destroyed an old internet modem/router to the motherboard and picked off tiny items to glue to my nails. Total nerd alert! I will totally do this type of nail art again! It's nerdy and hella cool. Plus, I just like sticking tiny objects to my nails. Be sure to check out the tag #31DC2017Weekly tag on Instagram, Facebook and Twitter for a look at all of the other challenge participants. And stop by my pal Lotte's page to see her look for this week! 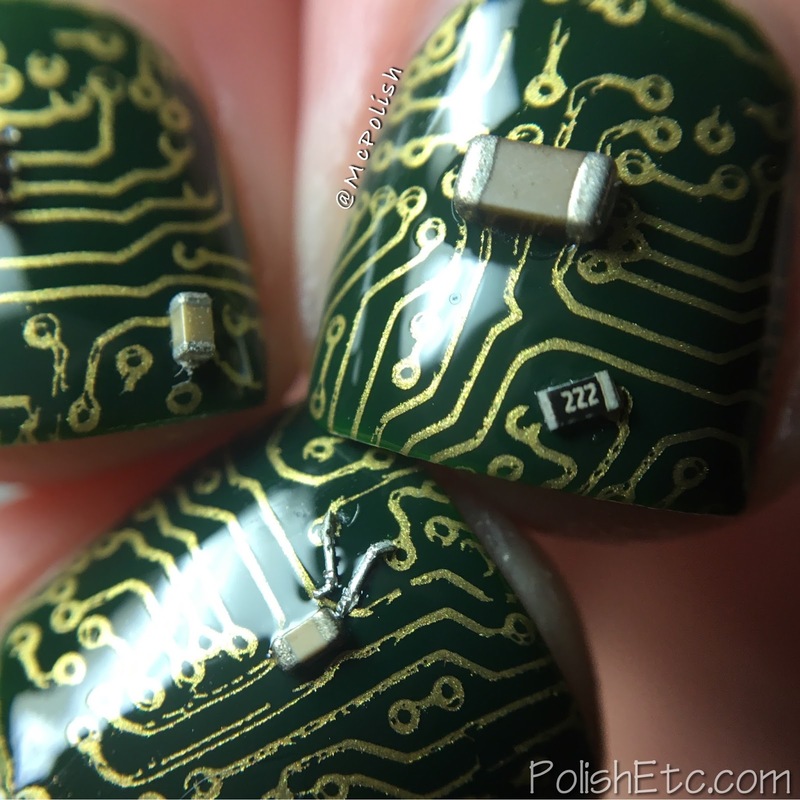 I love that you stuck actual bits from a real circuit board to your nails! That takes this to the next level. get on my level! Haha. What a coincidence, because I work for a company that assembles these circuit boards and I am in the purchase department. So I buy these little thingies - we call them 'the chickenfood' - every day. :) Love your mani!